From the “guru” of the self-help industry comes another book that attempts to change one’s outlook to life, compelling the reader to connect with his inner self. In this epiphany of a guide that makes use of esoteric knowledge to get readers to effect monumental changes in their lives, best-selling author of self-help books, Rhonda Byrne, tells us how our outlook on life can either create us, or destroy us. The “laws of attraction” govern the entire universe. When people have a particular outlook towards life, for instance if they are depressed, these “feelings” are sent out to the universe and the universe responds accordingly, and thus our lives take a dull, dreary shape. Similarly, if one was to alter his/her perspective and be optimistic, their life would instantaneously start looking up. According to these laws, and Rhonda Byrne, one’s view of life can also affect his/her health, wealth, and happiness. So a positive outlook, according to Byrne, will attract money and help a person amass a lot of wealth! Throughout the course of the book, Byrne, after effectively explaining these laws, talks about their historical significance and how these laws affected figures of historical eminence and changed their lives. Furthermore, the law has been rendered a powerhouse force that can truly change the course of one’s life. Furthermore, the readers are told to ask, believe, and receive, and this is the way one should try to create dreams. This three-step process has been described in detail with clarity. Gratitude and visualization have been described as the two means of achieving one’s desires. If an individual is grateful, the frequency he sends out to the universe will be elevated and a positive belief that the reader will achieve what he or she wished for will be inculcated. According to the author, visualization will enable the readers to send out their messages very clearly and effectively with the right focus. Techniques to enable effective visualizations are provided therein. Byrne, throughout the course of the book, deals with three aspects of a person’s life- their health, wealth, and their relationships, and tells us how one’s perspective on life significantly touches all the three aspects. In the final chapter, she acquires a more spiritual tone and deals with these laws in a spiritual light and how they have an effect on an individual’s life, as well as on the world as a whole. The Secret was published in the year 2006 and generated much hype for its content and subject, which was deemed controversial. It received mixed reviews. The book was considered a milestone text and capable of affecting every change it speaks about. The book has often been parodied in popular culture. However, it went on to sell around 21 million copies and was also translated to more than 40 languages. A film of the same name was released prior to the book. Listed on Time Magazine’s list of “100 People Who Shape the World”, Rhona Byrne is an Australian book and television writer and T.V. producer. She has worked for Australian television and appeared in series such as Marry Me and World’s Greatest Commercials. 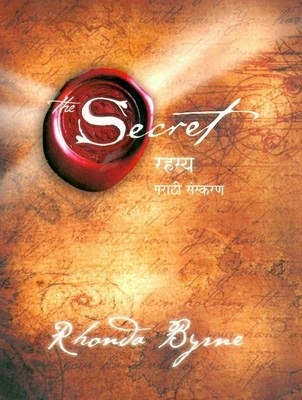 Other books by Rhonda Byrne include The Power, which is the sequel to The Secret, and was published in the year 2010. The writing style of The Secret is compelling and thought provoking. The author talks about a subject of depth and does so with a lot of authority and grasp. Her book The Secret was also turned in to a film, and she has been the producer of another film called Sensing Murder. By the year 2009, as reported by Forbes.com, the total amount generated by her movie and book had reached a stunning 300 million dollars. She is considered one of the top personalities in the industry of “self help”.